Memorial Day Bouquet 2016 is part of Yukiko’s weekly series of 5 foot floral arrangements for Smith Ranch Homes in San Rafael — photographs. 5 foot tall floral arrangement springs from heavy urn. 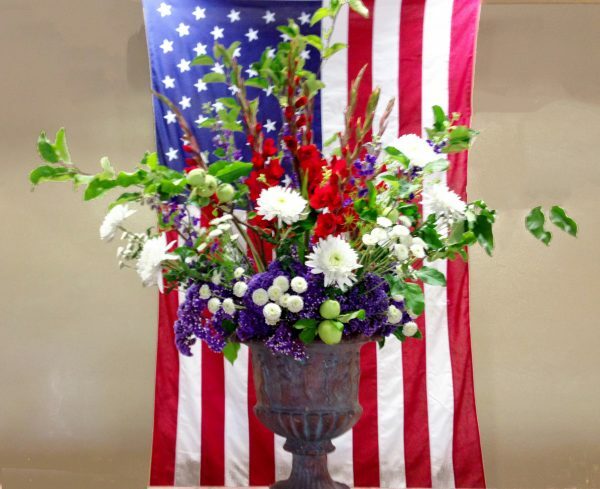 Memorial Day Bouquet 2016 is part of Yukiko’s weekly series of 5 foot floral arrangements for Smith Ranch Homes in San Rafael.